Looking back, we can see Alibaba Cloud laid its foundation for success through its adherence to independent development and incessant enhancement of technologies. Hu Xiaoming once said, "Reliance on others leads to no great accomplishments. Independent development is the right way to long-term success." At this year's Computing Conference, Jiang Jiangwei (nickname: Xiao Xie), Alibaba Cloud's technical development leader, said with mixed emotions that the iterative progress and increasing features of Alibaba Cloud are the results of every line of code written by Alibaba Cloud's engineers for the Apsara system. 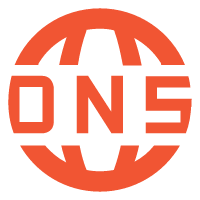 No one knows better than they do about how to make modifications, where a bug is and how to patch it, and how to optimize the system. 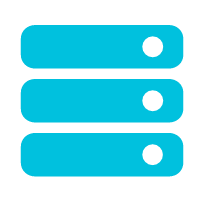 This ensures the organic consistency of the whole cloud architecture and thus enables updates at anytime, anywhere. In 2018, AWS, Azure, and Alibaba Cloud, the three largest cloud computing platforms, are all self-developed. After the conflict of path was solved, Alibaba Cloud's next challenge was to step out of its original experimental field and march into the commercial world. The turning point came in 2015 when major changes took place in both industry prospects and Alibaba Cloud's internal management. For the worldwide cloud computing industry, the year 2015 was a transformation period for the cloud computing product model and business model. Before that, the demand for cloud computing mainly came from Internet enterprises. 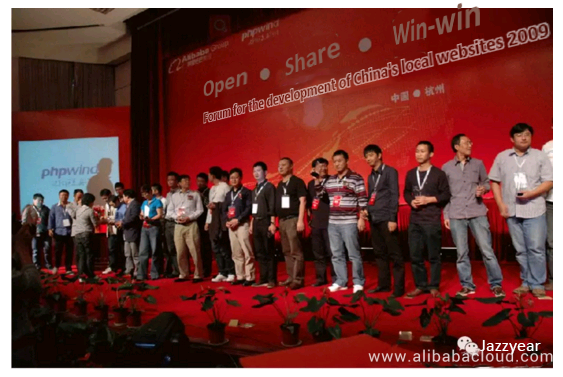 In 2009, shortly after being founded, Alibaba held a forum for the development of China's local websites. This was the prototype of the Computing Conference. Different from today's conferences, which gather major players in various industries, the participants of the forum were owners of small- and medium-sized websites in China. They were regarded as the first target users of cloud computing products. Afterwards, Alibaba Cloud started to conduct internal product trials and refinement until the products went live in 2011. However, their users were limited to blog users. Later, the development of the mobile Internet economy enabled the first takeoff for Alibaba Cloud and the Chinese cloud market. Take mobile game companies as an example. At start-up, they often face the problem of very rapid short-term growth of users. Compared to spending tens of millions of dollars building their own data centers, which is inefficient and expensive, moving to the cloud is their best choice. At this stage, cloud computing offered cloud services mainly to Internet companies. After 2015, with the development of AI, data, and communications technologies, various industries showed a need to move not only their data but also their core and traditional businesses to the cloud. Simply put, data was moved to the cloud before 2015. After 2015, besides moving data to the cloud, people had to think about what to do with the data—how to maximize its value and how to develop new applications. Machine learning and big data processing technologies have played an important role in this process. As a result, the cloud computing market began to expand rapidly. Enterprises and regulatory authorities realized the significance of moving to the cloud and showed a stronger desire to move to the cloud. In addition, the demand for cloud computing has not only spread in the Internet sector but also in other sectors, with a growing market base. In 2015, Amazon released the AWS financial report for the first time, revealing astonishing results. AWS's revenue over the past year was USD 5.16 billion, with an increase of 49% compared to that of the previous year. The huge profits from cloud computing services reversed Amazon's 20 years of losses. 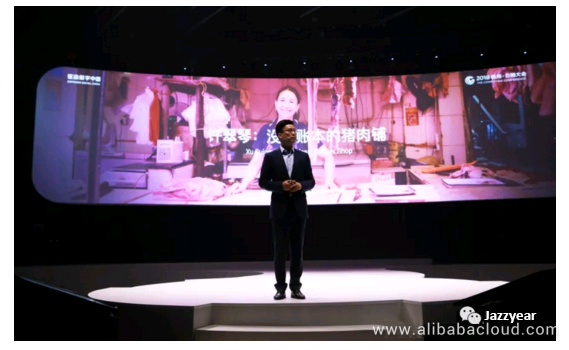 Alibaba Cloud also came to a turning point at the end of 2014, when it ushered in a new president, Hu Xiaoming. Admittedly, this decision was a clever move for Alibaba. As the very first internal customer who fell victim to Alibaba Cloud's early products, Hu knew clearly the pain points and needs of enterprise customers when they use cloud computing services. Wang Luping, the head of Alibaba Cloud's compute design center, has witnessed four Alibaba Cloud presidents taking over the helm. In his opinion, Wang Jian was the spiritual leader of Alibaba Cloud who laid the technological foundation. The following two CEOs were both learned engineers who further enhanced Alibaba Cloud's technical level. However, they still confined themselves to their technical mindset. Hu Xiaoming, with a financial background, brought to Alibaba Cloud a more practical commercial mindset. After taking over, Hu put forward a clear strategy: Expand the boundaries of commerce using technologies, and promote technological development through commerce. Alibaba Cloud thus entered a stage driven by both technologies and commerce. The character of Alibaba Cloud was gradually changing. Hu has his own way of working and managing. T-shirts, sneakers, and flip flops are most commonly seen at Alibaba Cloud. However, Hu always appears in collared shirts and leather shoes. He suffers from severe obsessive-compulsive disorder (OCD). He cannot bear to see any red spots on the phone screen. He takes notes of every speaker's statements at a meeting. He even discusses with employees about where to insert a newline character when modifying his PPT. In the Sun Quan Class (named after his nickname) he holds for Alibaba Cloud's directors and senior middle managers, he will criticize the subordinates who show bad KPIs by name. Since he took over in 2014, Alibaba Cloud has closed big deals with Sina Weibo, TouTiao, China Central Television, General Administration of Customs, Hangzhou ET City Brain, World Cup live broadcasting, and so on. Scenarios such as World Cup live broadcasting can bring massive business and put Alibaba Cloud to test as well. Chen Binbin (nickname: Wu Si), Alibaba Cloud's algorithm expert told Jazzyear that, over the past two to three years, Alibaba Cloud's sales personnel have started going out for orders everywhere. They target any and all needs, be it enterprises or governments, regardless of the business field or whether there were existing solutions. If there was no solution available, a team would be assembled to conduct research and development based on the requirements. To better meet the customers' requirements, Hu set up a branch office of Alibaba Cloud in Suzhou at the end of 2015. The reason for Hu's decision was that Suzhou has the largest urban manufacturing zone in China. The Suzhou branch will focus on exploring the application of cloud computing in the manufacturing industry. Gao Fei (nickname: Dong Qiao), general manager of Alibaba Cloud's East China region 2, told Jazzyear that after being assigned to the Suzhou branch in March 2016, they visited over 50 manufacturing enterprises, including state-owned enterprises, private enterprises, and foreign enterprises, so that they could understand the needs of the industry. The initial difficulty lay in that Alibaba Cloud did not know how to serve the needs of the manufacturing industry. All the enterprises they visited knew about Alibaba Cloud, but they lacked the interest to move to the cloud. Dong Qiao and his team brainstormed a few proposals which, however, were all vetoed. At last, it occurred to them that data instead of the cloud might be able to open up the market. High and new technology enterprises might be an effective breakthrough. 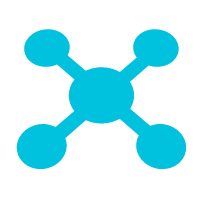 These enterprises feature a high informatization level with open-minded leaders. If they could identify the loopholes in the production process through data, they might be able to acquire orders. Dong Qiao and his team thought it through and realized, "The advantage of big data does not lie in solving problems, but in discovering problems, which is much more difficult than solving them." Dong Qiao decided to start with benchmarking enterprises in the industry. Four out of the top 10 photovoltaic (PV) enterprises in the world are headquartered in Jiangsu province. Dong Qiao has long since taken the world's best PV enterprise Xiexin Technology Holding Co., Ltd. as a target customer and has been seeking the opportunity to reach out. At an intermediary meeting hosted by the government, Dong Qiao took the initiative to reach out to Xiexin, and eventually signed the first contract with it in June. Consequently, Xiexin became Alibaba Cloud's first customer for its manufacturing solution. After the delivery of the solution, Alibaba Cloud saw great improvement in its technical strength in the manufacturing field. According to Dong Qiao's experience, the hardest customers come from basic industries that have a long history, such as the chemical industry. Enterprises in these industries have hundreds of years' industrial experience, and thus remain unmoved by the new concept of "data-driven manufacturing". However, Alibaba Cloud finally came up with a method to win these enterprises: All sales personnel should go to the workshops and acquire detailed knowledge of the production process and the pain points of the enterprises; recruit sales personnel with professional backgrounds to convince the enterprises of their professionalism. Some of Dong Qiao's colleagues have worked for world famous manufacturers such as Siemens, and some graduated from top universities such as Peking University, Tsinghua University, Fudan University, and Zhejiang University, and were specialized in chemical engineering, material, and hydromechanics. A few months ago, Alibaba Cloud changed its advertising slogan from "More Than Just Cloud" to "Alibaba Cloud is the right cloud for you". This more down-to-earth slogan reflects the change in Alibaba Cloud's strategy—to become a provider of products and services instead of a cloud computing evangelist, and to appeal to more partners with the most honest and simplest words. People could see not only high-tech companies but also traditional companies of various industries at the Computing Conference 2018. From catering to department stores, health care, and manufacturing, enterprises that were hardly related to the Internet in the past are gradually becoming customers of cloud computing because of their needs for data mining and transformation. Government agencies have also become ardent participants at the conference. For example, Hangzhou West Lake District People's Court does not have to rely on court clerks in some court hearings, because an AI system based on Alibaba Cloud can preview all the case files and maintain records of a court. With the new trend of moving to the cloud, cloud computing demonstrates excellent performance in any case where data and computing are needed. With its effort to increase income while reducing expenditure, Alibaba Cloud's sales have achieved a growth of over 100% for 12 consecutive quarters. Expanding the cloud computing market has been the priority since Hu Xiaoming took office. Where will cloud computing be heading? Hu believes that the year 2018 will see the beginning of the deep integration of cloud computing and industries. Deep integration indicates that further achievements will be made in data intelligence. Alibaba Cloud has already begun its new adventures marching into no man's land—where no predecessors have ever been. To be more exact, the deep integration manifests in Alibaba Cloud's major industrial solutions, including ET City Brain (initiated in 2015), ET Industrial Brain (2016), and ET Agricultural Brain (2018). After years of exploration, these intelligent solutions, which are compared to brains, have seen preliminary effects. The first main forum at this year's Computing Conference was themed "Story of a New Hangzhou". At the forum, Hu spent a long time introducing the changes that cloud computing has brought to Hangzhou. To some extent, Hangzhou is indeed turning from an ancient city into a city on the cloud. Intime Department Store, which was in a real slump, is turning into a new type of retail company through a big data solution driven by cloud computing. Geely Automobile resorts to cloud computing to implement multiple core production procedures such as automobile simulation. A total of 36.823 billion messages from 59 government agencies in Hangzhou are gathered on the government affairs service platform developed based on Alibaba Cloud, and citizens can handle 296 affairs with only their ID card. Eleven municipal hospitals are using the "Smart Healthcare" app, which runs on the cloud and binds to people's citizen cards, enabling a collection of over 8 million electronic health records and thus sparing an average of two hours each for about 70 million people. Hangzhou ET City Brain 2.0 is officially launched. ET City Brain, which runs on the cloud, covers an area of 420 square kilometers, amounting to the area of 65 West Lakes. It helps dispatch over 200 traffic officers and control 1,300 traffic lights, allowing Hangzhou to move down from 5th place to 57th place in China in terms of traffic congestion. ET City Brain answers a question that people have been wondering about yet unable to answer: How many cars are running in Hangzhou at this moment? At 10:40 on the morning of September 19, the first day of the Computing Conference 2018, the answer was 230,000. ET City Brain is actually a comprehensive urban solution that integrates cloud computing, big data, and AI. The server on the cloud provides computing power for ET City Brain. Then ET City Brain collects information about road conditions that the roadside monitoring cameras gather, and calculates corresponding results based on specific algorithms to control the traffic lights automatically. In Hangzhou Xiaoshan District, ambulances no longer rely on the lead of police cars for traveling fast. At present, ET City Brain can predict the road conditions before an ambulance sets out, automatically specify an optimal path, and ensure smooth passage of the ambulance through traffic lights. It is no different than escorting an ambulance, and reduces the time spent on the road by half. Min Wanli, a chief scientist in Alibaba Cloud's machine intelligence sector, told Jazzyear that, besides traffic regulation, ET City Brain provides some other functions. It can identify abnormal situations such as traveling in the wrong direction and illegal parking through cameras installed on overpasses and then call the police. It can monitor the areas with a high density of dust and PM 2.5, and notify garbage trucks and watering trucks. It can also simulate and calculate the plot ratio and story height of a neighborhood based on the surrounding infrastructure including the power grid, sewer lines, parking lots and road conditions, to help better plan the city layout. Hua Xiansheng, head of Alibaba Cloud ET City Brain, is responsible for the machine vision of ET City Brain. He revealed to Jazzyear that, technically, ET City Brain is able to find a person based on a photo in real time. If an elderly person is missing or lost, ET City Brain can quickly process available information to match and track the missing person. "The farthest distance in the world is between the traffic light and the traffic camera," Wang Jian exclaimed when ET City Brain was first launched. After Hu took over, Min Wanli, Hua Xiansheng, and other AI scientists eliminated this distance. In fact, Min Wanli had already developed the algorithm for predicting road conditions and regulating traffic lights decades ago. But there was no cloud computing platform at that time so nothing more could be done. In a new wave of technological revolution, cloud computing is expected to be the catalyst that accelerates the chemical reaction between new technologies such as AI and traditional industries. When cloud computing becomes as commonplace as water and electricity and people take it for granted, the success of cloud computing will be victorious. Alibaba Cloud has never stopped its exploration. Min Wanli told Jazzyear that. ET Industrial Brain Poses Greater Difficulties than ET City Brain. Industrial scenarios have higher technical barriers and are more difficult to understand than urban scenarios. Two internal engineers have successively participated in the Xiexin PV project, but both quit midway due to the difficulty. The third team, led by Wu Yunchong (nickname: Guang Yan), leader of the ET Industrial Brain algorithm team of Alibaba Apsara 1, eventually came up with a solution, and successfully improved the yield rate by 1%, saving tens of millions of dollars for Xiexin. Over the past two years, Guang Yan and his team have been to various factories, including boiler factories, optical fiber factories, rubber factories, and petroleum refineries. They used sensors to collect data and spent months in data processing, trying to identify controllable variables related to key production indicators to optimize manufacturing. Alibaba Cloud employees often say that in the future, scientists will write code in workshops instead of offices. 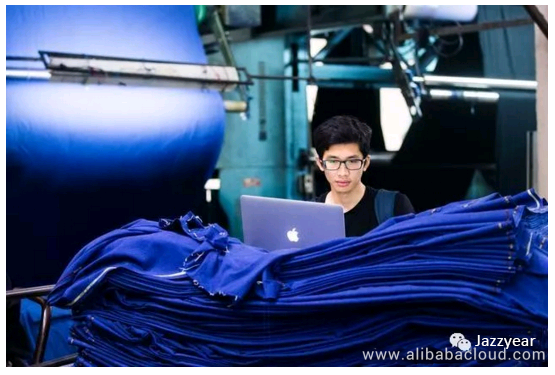 Guang Yan, leader of the ET Industrial Brain algorithm team of Alibaba Apsara 1, was writing code in a printing and dyeing mill. Mu Bo, an engineer of Alibaba Cloud ET Agricultural Brain, spends half of each year traveling around tea plantations and orchards. He and his colleagues use an AI that has been trained using a massive number of photos to identify pan-fried tea leaves and the sweetness of a melon. Some of Mu Bo's colleagues often go to pigpens to record a pig's real-time health condition and amount of exercise by using ET Agricultural Brain. They go into the midst of every industry to develop system solutions based on cloud computing platforms, which may become a long-term strategy for Alibaba Cloud in the future. It may sound like putting the cart before the horse. A power plant can profit in itself, so why should it put in any effort to produce electric appliances of various kinds? For the time being, it is for boosting electricity sales as well as for developing cutting-edge technologies. Of course, appliance development can also benefit the society by benefiting all human beings. After all, electricity has little value in itself; it realizes its value through lights, refrigerators, computers, and so on. Hu Xiaoming has asked a question in his Sun Quan Class: What is cloud computing? And the answer varies depending on different people. For technical experts, cloud computing relates with elasticity and the operating system of a data center. For marketing personnel, cloud computing means revolution. But for Hu, it is not only an experimental technology, but also a practical one that can create huge value. Zhu Zhaoyuan (nickname: Shu Du), director of Alibaba Cloud CDN business division, told Jazzyear that Alibaba Cloud is unable to work out every solution on its own. 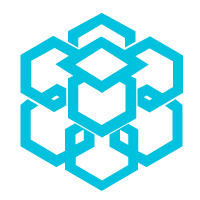 It is necessary for it to cooperate with some small- and medium-sized enterprises in various industries to build an inclusive ecosystem and platform. From a line of code, wading through the swamp, and further into no man's land, Alibaba Cloud's destination seems to be not only the marketplace but also a grander prospect. As Wang Jian said, the Internet, data, and computing are the fire, new continent, and electricity in the new age. The journeys to find fire, electricity, and a new continent are all both romantic and dangerous adventures. Every summer, Hu gathers the elites of Alibaba Cloud for a hike in the Gobi Desert. While they are toiling across the desert that challenges their will, some have lost a few toenails, some have to hold on to a bottle of saline water because of dehydration, and some have to walk on crutches, but no one turns back. Because in this barren desert, going back means falling behind and death. One has no choice but to keep going and stay strong through the wild sandstorms. "I would rather die on the journey to the west than save a breath back to the east."